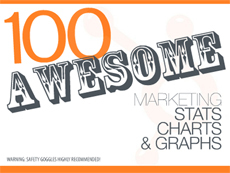 If you want to learn more about marketing, social media, search engine optimization and blogging, you’ll love Hubspot’s newest freebie: a collection of 100 Awesome Marketing Stats, Charts & Graphs. It’s based on original research and data from a variety of sources, including analysis of Hubspot’s 4,500 business customers, surveys with hundreds of small and medium-sized businesses, and dozens of well-respected publications like MarketingSherpa, eMarketer, Pew Research and McKinsey. You can click through the slide show presentation at their website, or download the PDF file for your own use. You’ll find stats, graphs and charts on inbound vs. outbound marketing, SEO, social media, blogging, Facebook and Twitter. To re-evaluate your own marketing strategies and decide if you’re spending money and other resources in the most effective marketing channels. 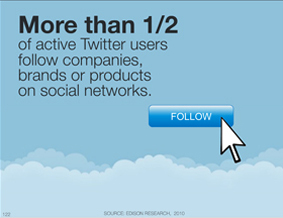 Social media and marketing consultants can use the stats when meeting with prospective clients. Speakers, include them in your handouts and Power Point slides. Share the slideshow on Twitter and Facebook and in your LinkedIn groups. (See advanced strategies for writing a killer LinkedIn profile, cashing in on groups and using LinkedIn Company Pages as a giant, free billboard. Blog about the freebie, like I am here. 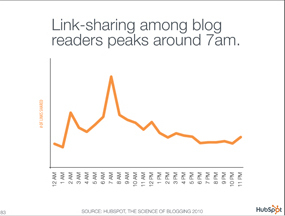 Write a blog post elaborating on just one of the stats, graphs or charts, and feature the slide. 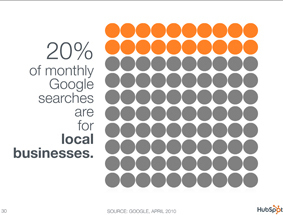 Use the stats or graphics in a video on a marketing or SEO topic. What other ways can you think of to use this? These are great tips, Joan. Hubspot provides tons of valuable information for free, and you offer some creative ways to take advantage of this information – thank you! Hi Joan! Thanks for the information. 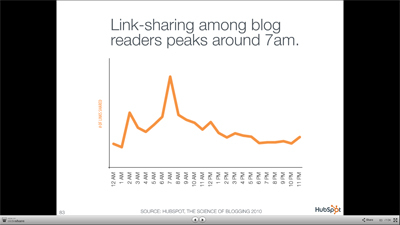 I’m on the HubSpot website at least an hour a day watching their videos and reading articles. And now we have this great resource. I think I’ll take your advice and make a blog post of a few of the slides. Glad you like my free tips. More to come. So stay tuned!